Front: 3" Lift front coil springs. Longer shocks recommended with this lift. Rear: Shackles that are adjustable to 1.5" or 2". Includes all mounting hardware and bushings. 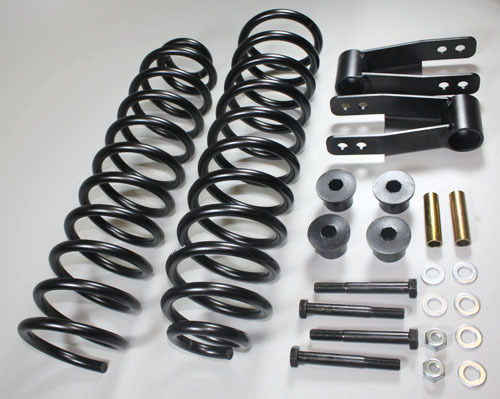 If purchasing optional Performance 8000 Series shocks, shocks may come in black finish depending on availability.